Flu Vaccine – Over sixty percent of flu-related hospital cases occur in Americans 60 years and older. This vaccine is specifically made for each strain of flu annually, meaning that the flu shot from last season will not be effective for this year’s flu strain. Zoster Vaccine – About half a million Americans (60 years or older) contract shingles annually, and this vaccine protects against shingles. Recommended for adults aged 60 and above. Check the Centers for Disease Control and Prevention (CDC) for updated lists for all recommendations for adult vaccines. Since we all have different health conditions and medical histories, your doctor should be the first person you should talk to regarding vaccines for you. 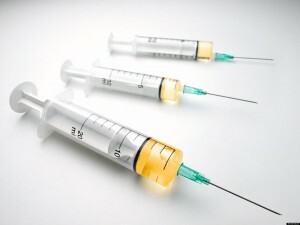 Some other immunizations that should be noted are those for measles, mumps, or chickenpox, etc. As a last note, even though this may not be directly related to seniors, the Whooping Cough Vaccine should be considered if you are in close contact with children (specifically infants and babies). Pregnant women are especially recommended to have this vaccine, because the vaccine will cause your body to create protective antibodies, that will be passed to the child before birth.